Our 2nd set-up for today at Nissan Showroom @ Ubi! 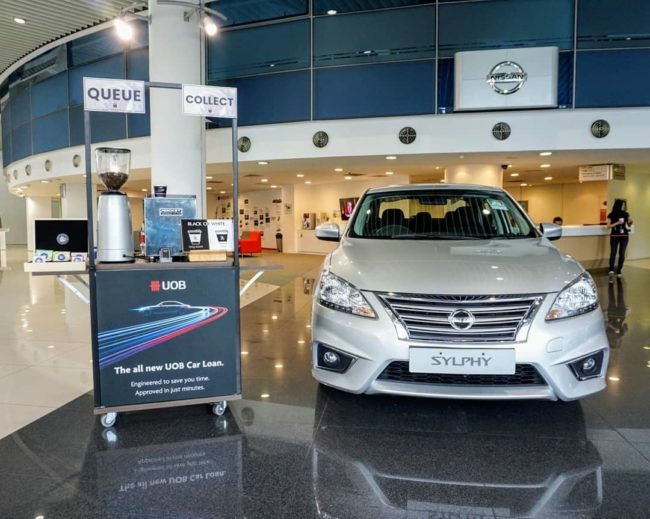 Car loans at the click of a button with UOB’s new digital car loan! For a quick quote, email us at enquiries@nineteen95.sg. Your guests deserve a cup of Feel Good Coffee.